There are 36 reviews of Duc de Vervins. Although everything has already been said, can't help writing some words about this nice fougere. Starts green and spicy reminding me of Drakkar Noir and VC&A Tsar. However, instead of getting woodier or ambery like the ones above, It dries down in a different direction: herbal, soapy and sligthly sweet (still keeping some "green sparks"). It's just a bit surprising that no one has mentioned some similarities with Rive Gauche (that is more refined and stronger) and the all time classic, Brut (which is sharper). 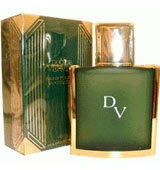 Duc de Vervins is something of lark from an old storied perfume house like Houbigant. It was created by unfortunately unknown in-house perfumers at Houbigant and was a desperate attempt at reclaiming lost prestige and desirability in the men's segment from a house once head-and-shoulders with Guerlain and Creed in terms of status, but had since accumulated a drugstore reputation by allowing a lot of their legacy scents to be licensed out for mass-market manufacturing. 1985 was the actual birth year of the scent as an ultra-limited and expensive alternative to designer powerhouses and fougères of the time, and it makes sense once smelling it that the stuff falls inbetween the soapy lines of Drakkar Noir (1982), the lemon verbena zest of the contemporary Creed Green Irish Tweed, (1985), and the semi-sporty green tones of the also-later Tsar by Van Cleef & Arpels (1989). Duc de Vervins straddles so many styles from the 80's that it smells like a clone of whichever one above you hold most dear, for those with a stronger emotional bond to their scents, but for the more objective, just tries to "gussy up" a popular style of the day into something ennobled. Houbigant eventually took this down to the designer level with a wider relaunch in 1991, replacing gold-tone metal fittings and cap on the bottle with the gold-coated plastic most know now, and the scent saw more success, but draws wildly disparate opinions from hobbyists. Part of the flack on Duc de Vervins is the esteemed Luca Turin declaring the scent as "...the worst fougère of all time" which means a lot of ardent worshippers of his "two cents" will outright avoid or at very least walk into the experience with negative expectations, like when a lambast from a major movie critic tangibly damages a film's chances at finding an audience. Duc de Vervins definitely treads some familiar territory, but it intentionally draws upon the legacy of the very first fougère that was also made by this house, which itself was very purposefully green (since "fougère" means fern-like anyway), so this direction should not be unexpected. To be fair, I'm not saying self-reference from a house can't be criticized, since not everyone loves Guerlain's "Guerlinade" compound either, but intertextuality between compositions within a house can make them more enjoyable. 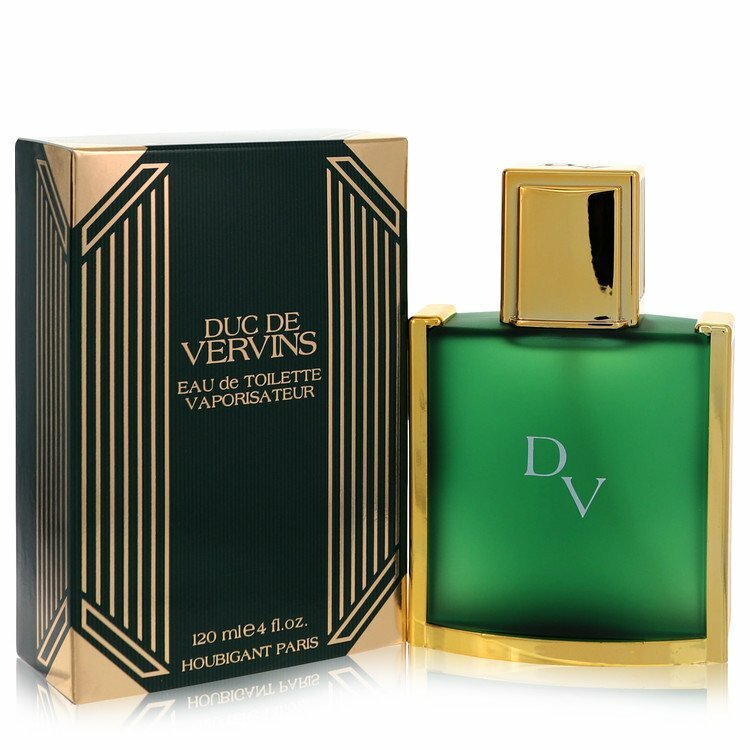 Duc de Vervins opens with bergamot and lemon verbena, bright, juicy and leafy, drawing the biggest comparisons to the aforementioned Drakkar and Creed scents. Lavender, rosemary, and geranium provide the staple green fougère experience beyond this point, making a slightly soapy sheen appear That's not dissimilar to Alfred Sung (1988) or the much later Cabaret de Grés Pour Homme (2004), but not on the same level of intensity thanks to a dirty cumin counter-note. The base is cedar, musk, and patchouli on a bed of coumarin and oakmoss, because this is Houbigant, and they invented the fougère, so such base notes are almost expected. The whole thing slides shy of the original Fougère Royale (1882) by being less floral, less fanciful, and more direct like the power-hungry 80's venture capitalists this was likely pitched to, but is still refined and very strong. Duc de Vervins is the laugh of a Victorian gentleman channeled through the 80's Blaupunkt stereo of a Wall Street socialite driving his BMW down the turnpike. If a bright, lemony, green, mossy, and slightly soapy fougère in a vein that blends antiquity with 80's paradigms sounds good to you, then Duc de Vervins might be playing your tune. Folks owning any of the half-dozen fougères this draws close to might see this as redundant, but people who like Geoffrey Beene Bowling Green (1986) but think it's a bit too sharp definitely need to check this number out. I can kind of see why esteemed critics like Turin might have expected much more from an illustrious house like Houbigant once serving nobility and responsible for delivering many of the late Paul Parquet's perfume masterpieces into the world, but if you strip away all the pretense such decorum suggests, Duc de Vervins is just plain good, but maybe a tad too plain for the house that released it. One thing is for sure: if it was anywhere remotely close to the worst fougère on earth, I doubt it would have the praise it does, let alone a thumbs up from me. If there's any criticism I can lobby at Duc de Vervins, it is that Duc de Vervins just too "in the pocket" as far as fougères go, but doesn't have the commerical deodorant soap opening nor will cost you a kidney to find in the aftermarket, since Duc de Vervins is been in production multiple times and it's often at good sale prices if you're okay with a moss-restricted and presumably brighter/sharper modern bottles. Best for formal or office use, maybe casual day use in more high-brow company, and definitely leans mature. Vintage Members Only jacket and Saab 900 Turbo sold separately. For some reason, I keep thinking this fruity-sweet, green, herbal spicy fougère is actually called Duc de Verveine, probably a Freudian slip; because in my mind, it's the herbaceous-citrus note of (something like) verbena that this slightly thick and flat profile needs before it can really take to the air. There are worse aromatic fougères than this but there are better ones too. I really like this scent. It has hints of other fragrances such as drakkar noir and a little GIT. It is more of a mature scent and smells of quality. Lasts 7 hours plus on me. Classic power house start with a nice smooth dry down. Nice office or casual scent. Try before you buy. Enjoy! Ahh, DV! I adore this fragrance and it's just right for so many occasions. Formal yet sporting with a lovely herbal lavender note. The formula has been altered a bit since its launch, but it remains true to its heritage. Longevity is 6-8 blissful hours, and longer on clothing. Perhaps the best part of wearing this scent is in its relative obscurity as hardly anyone wears it, or can even find it locally. A few have asked me if perhaps I was wearing Drakkar Noir (which I can see a slight resemblance) but it's a much higher grade and the absolute oils are blended ever so nicely. *My only complaint is with the cheap gold plastic on the bottles. It's lovely in the pictures but really leaves something to be desired in person, and rather surprising considering Houbigants rich, glorious history. Clean, fresh, green and soapy fragrances are among my favorites. Until recently, I'd been unaware of Duc De Vervins existence but I happened to stumble across a thread where it was part of the discussion. I'm willing to roll the dice on an inexpensive blind buy and as luck would have it, I was able to pick up a nice gift set for $15. After reading the reviews, which seemed to be all over the place, my expectations were somewhat low. At first, I was back and forth on it. Many people have referenced the Drakkar Noir resemblance but I just don't smell it. Duc De Vervins is a clean, fresh, herbal, soapy and green fragrance -it's RL Polo Crest meets Tsar and the more I wear it, the more I like it. Tsar is very green and soapy without a standout "kitchen" herbal presence, whereas Duc is green and soapy but retains a notable herbal essence, such as Sage or Rosemary, throughout the life of the fragrance. For me, projection and longevity are average (4-6 hours). 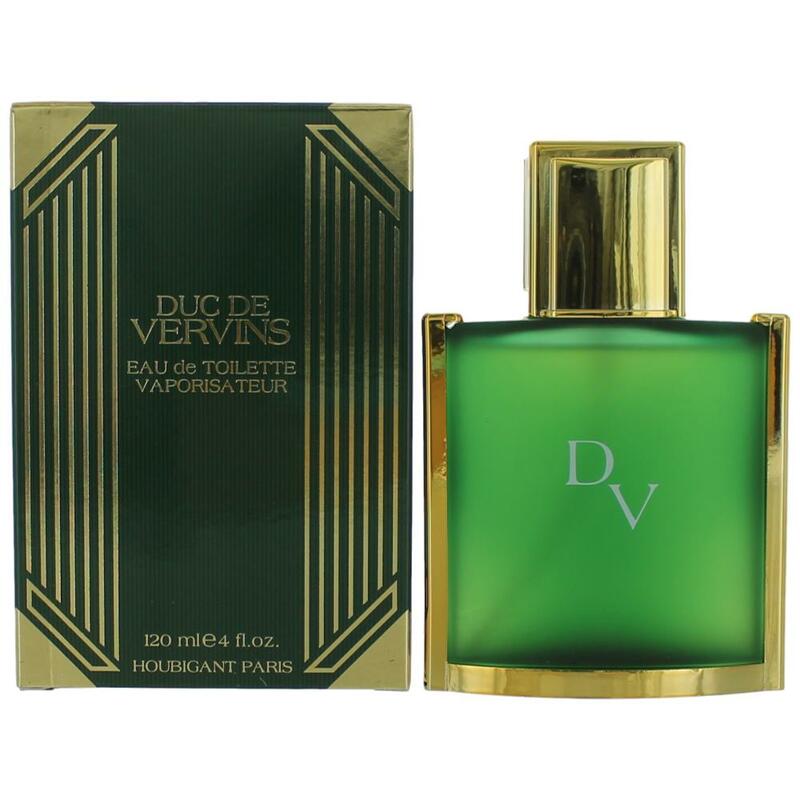 DUC DE VERVINS MEN'S EDT 120 ML/ 4.0 OZ MADE IN FRANCE "LE PRINCE DE GALLES"
There are no member images of Duc de Vervins yet. Why not be the first? Houbigant Duc de Vervins L'Extreme - anyone tried it?